You will find several Indian restaurants in Dubai, but hitting upon an authentic north Indian restaurant in this city is not an easy task. However, we have put a full stop at the end of this search by furnishing the details of Aamchi Mumbai that is basically a genuine north Indian bistro. 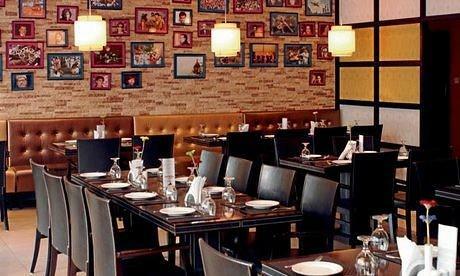 Operating in the locality of Bur Dubai near Khalid Bin Walid Street, Aamchi Mumbai Restaurant is offering a vast menu that comprises of chatpati, tandoori, vegetable and various other items, including drinks and regional desserts. The food served at this restaurant will be not less than a delightful surprise for the north Indian foodies, who welcomed by friendly staff at this bistro. Authentic north Indian cuisine is the specialty of Aamchi Mumbai Restaurant, which is cooked by well-trained chefs in a neat and clean kitchen, which is then served by the friendly waiters of this eatery. Being a family friendly restaurant and having a romantic ambience makes this eating place even more appealing for the people of Dubai, who love to savour Indian food. Private dining facility is another top feature of this eating venue, as people in corporate sector often avail such facilities. The menu of this place boosts dishes like soups, samosas, curries, tikka, kabab, vegetable sizzlers, roti, nan, rice, gulab jamans and much more. Soft drinks are also served at this eating point. For further details of the dishes served at Aamchi Mumbai see the menu. The opening time of this restaurant for lunch last from noon to 3:00 pm and dinner can be ordered between 6:00 pm and 11:00 pm. 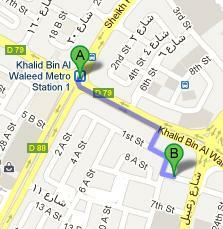 3A Street, Zabeel Road, Bur Dubai- United Arab Emirates. Khalid Bin Al Waleed Metro Station 1 is 700 metres away from Aamchi Mumbai, which makes it 9 minutes journey, if a person choose to walk from this metro station. Head in the south direction from this metro station towards Khalid Bin Al Waleed Road/D 79 and make a slight left turn onto Khalid Bin Al Waleed Road/D 79. After that patron needs to turn right towards 1st Street, from where he or she will turn left onto 1st Street. The 1st Street then will turn slight right and become 18 A Street from where patron need to turn left onto 3 A Street in order to locate the destination on the left side. The nearest bus stop from Aamchi Mumbai is College of Islamic Studies 1, as it is 120 metres away from it and on foot this distance can be covered in roughly 2 minutes time period. 33, 42, 44, 88, C3, C5, C14, C15, C26 are the bus routes that serve this station. All bus users need to do is to head in the north side on Za'abeel Road/D 84 toward 3 A Street, from this bus station and then turn left onto 3 A Street from where destination is not too far on the right side.Follow directions on map.